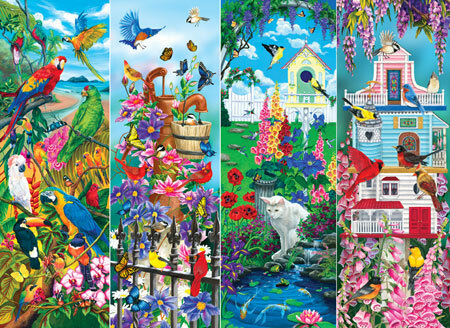 I just received copies of my Koi Pond Garden and Tropical Bird puzzles from Masterpieces Puzzle Company. They are really well made and make the perfect mother's day gift or summertime activity with your family. 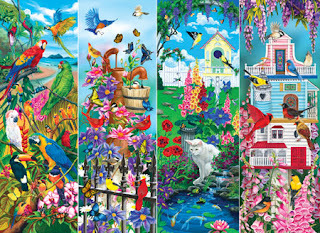 They are sold as a four pack with two puzzles from another artist, which are just as colorful. I am attaching a link to Masterpieces' online store. Happy Spring!! !